Why Don’t More Corporate Executives Commit Suicide? The business news is abuzz with reports that the fatal car crash of fracking executive Aubrey McClendon a day after he was indicted on federal bid-rigging charges may have been intentional. 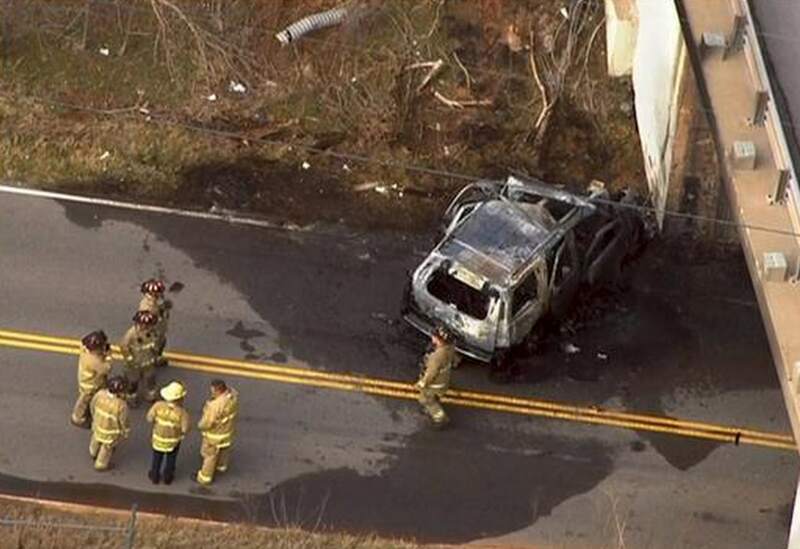 The high speed at which McClendon’s SUV was apparently travelling at the time of the collision and the absence of skid marks are generating speculation that he deliberately drove into a bridge support. Yet in comparison to the high degree of corporate misconduct, executive suicides are quite rare. Part of the reason is that so few executives are prosecuted individually, as was McClendon, and thus are less likely to feel the intense shame that usually prompts acts of self-destruction. And when those prosecutions do occur, some executives remain defiant, depicting themselves of victims of overzealous prosecutors. A prime example of such defiance was former Massey Energy CEO Don Blankenship, who insisted he was targeted for political reasons despite the extensive evidence against him in a case stemming from the deaths of 29 miners in the Upper Big Branch disaster in 2010. Blankenship was convicted of conspiracy to violate federal mine safety laws but acquitted of lying to regulators. It’s significant that McClendon’s possible suicide occurred after he was indicted on the relatively abstract charge of conspiring to rig bids for oil and natural gas leases in Oklahoma. While the charges are serious, they do not directly involve harm to people and the environment. On the other hand, Chesapeake Energy, which McClendon co-founded in 1989 and ran until 2013, has been involved in numerous cases involving allegations of such harm in the course of fracking. In the Violation Tracker my colleagues and I at Good Jobs First created, we found more than 30 cases since 2010 in which the company has paid more than $10 million in EPA fines and settlements. Apparently, there was no shame in that. Although it would be ghoulish to suggest that anyone commit suicide, there is no shortage of other executives who should also at least be feeling more intense shame for their actions. A number of them are at companies in the business of producing vehicles like the one in which McClendon was driving at the time of his death. McClendon’s Chevrolet Tahoe is produced by General Motors, which had to pay a fine of $900 million to resolve criminal charges in connection with an ignition switch defect linked to more than a dozen deaths. Then there’s the case of Japan’s Takata, which is embroiled in a controversy over the production of millions of defective airbags that in some cases ruptured and sent shrapnel flying at drivers and passengers. Or else Volkswagen, which has admitted wholesale cheating on auto emissions tests, leading to untold additional amounts of air pollution. There are plenty of additional past and present examples from industries such as chemicals, mining, tobacco and asbestos. The answer is not for more top executives to take their own lives, but for them to end their reckless behavior to protect the lives of the rest of us. Posted in Auto industry, Corporate Crime, Petroleum Industry | Comments Off on Why Don’t More Corporate Executives Commit Suicide? If a group of major drug dealers, identity thieves and bank robbers were to put out a statement calling for relaxation of the criminal code, no one would take it very seriously. Yet complaints about the regulatory system coming from large corporations — including many with repeated environmental and safety violations — are regarded as important pronouncements by too many policymakers and political candidates. Corporate interests don’t simply complain. They use their money and influence to urge lawmakers to alter the rules in their favor. Since my colleagues and I at the Corporate Research Project of Good Jobs First released our Violation Tracker database recently, I’ve been comparing notes with the ALEC watchers at the Center for Media and Democracy. What we’ve found is a substantial overlap between the corporations that remain loyal to ALEC (more than 100 have left in response to public pressure) and the companies in Tracker with the largest penalty totals. Mary Bottari of CMD has posted a piece that focuses on the energy companies in the two groups. Here I look at the full overlap. Novartis has also been accused of illegal marketing of drugs and has had to pay more than $400 million in penalties. Not yet included in Violation Tracker is a case in which federal prosecutors are seeking $3 billion in penalties from the company for paying illegal kickbacks to get pharmacies to encourage use of expensive drugs for kidney-transplant patients covered by Medicare and Medicaid. WEC Energy Group, whose subsidiaries North Shore Gas and Peoples Gas are ALEC members, is on the top violators list mainly because of a $307 million settlement another subsidiary, Wisconsin Public Service Corporation, reached with the Justice Department and the EPA to resolve Clean Air Act violations at two of its power plants. Most of the settlement involves mandatory spending on new pollution control technology at the facilities. Duke Energy earned its spot on the top violators list mainly because of a case from earlier this year in which three of its subsidiaries pled guilty to criminal violations of the Clean Water Act and paid $102 million in penalties in connection with a massive coal ash spill into the Dan River in North Carolina. The largest portion of Honeywell International‘s $93 million in penalties comes from a 2013 case in which it agreed to pay a $3 million civil penalty and spend $66 million on new pollution control equipment to resolve Clean Air Act violations at its plant in Hopewell, Virginia. Conglomerate Berkshire Hathaway is on the list because one of its major subsidiaries, BNSF Railway, is an ALEC member. While it has not been involved in any large cases like those above, since 2010 BNSF has accumulated more than 600 violations from the Federal Railroad Administration with total penalties of $7 million (the FRA’s fines tend to be less than onerous). BNSF was also pressured by OSHA to change its practices that the agency said discouraged workers from reporting on-the-job injuries. Exxon Mobil‘s penalty total comes largely from its subsidiary XTO Energy, which focuses on fracking. For example, in 2013 XTO had to pay $20.1 million to the EPA to settle Clean Air Act violations linked to the discharge of wastewater in Pennsylvania. These cases illustrate the track record of the companies that are sticking with ALEC, presumably with the hope that the organization can bring about policy changes that will allow them to continue business as usual and pay less in the way of penalties. ALEC may be correct that the regulatory system is a “train wreck,” but that’s because the rules are too weak, not too stringent. In their disappointed responses to President Obama’s rejection of the Keystone XL project, proponents argued that the decision would do nothing more than force tar sands oil producers to use more dangerous forms of transport such as rail. It’s true that freight railroads have had their share of accidents, but pipelines are hardly risk-free. The new Violation Tracker database provides documentation on the hazards of both modes of moving dirty oil. Pipeline regulation is under the purview of the Pipeline and Hazardous Materials Safety Administration (PHMSA), a division of the U.S. Department of Transportation. Violation Tracker has collected data on more than 200 significant enforcement cases brought by the agency since the beginning of 2010. These cases have resulted in total penalties of $28 million. Second among the top PHMSA violators is BP with $4.6 million in penalties, most of which came from a provision of a larger settlement also involving the Justice Department and the EPA concerning a spill on the North Slope of Alaska. Third is Buckeye Partners with 18 cases involving just under $2 million in PHMSA penalties. Four other companies have been penalized in excess of $1 million by the agency since 2010: Kinder Morgan, Enterprise Products Partners, Exxon Mobil and Marathon Petroleum. 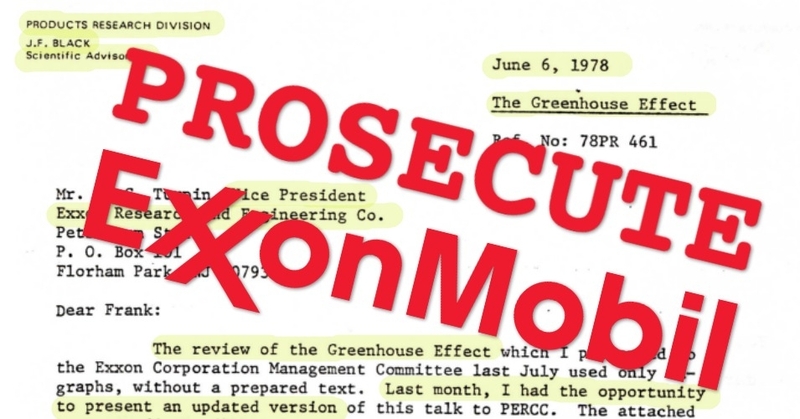 The biggest single penalty from this group was the $1,045,000 fine imposed on Exxon Mobil in connection with a 2011 rupture of a pipeline in Montana that sent more than 40,000 gallons of crude oil into the Yellowstone River. This is the track record that Keystone XL advocates seem to think argues in favor of pipelines. As noted, they are on stronger ground when criticizing railroads. They can point to incidents such as the derailment of a CSX oil train in West Virginia that caused a fire that burned for days and forced the evacuations of hundreds of people. The Federal Railroad Administration tends to impose modest penalties but Violation Tracker shows that half a dozen lines have managed to accumulate $1 million or more in safety fines since 2010. In the lead is Union Pacific, with $11.1 million in penalties, including the agency’s single largest fine of $565,000. Second is Berkshire Hathaway (parent of BNSF) with $7.4 million, followed by CSX with $2.7 million and Norfolk Southern with $3.4 million. All of the Class I railroads are well represented on the penalty list. The debate between pipelines and supposedly safer railroads is a false one. The major companies in both industries have track records that make oil transport a hazardous proposition. New in Corporate Rap Sheets: Dollar Tree, now leading the retail sector targeting those too poor to shop at Walmart. Also note: POGO’s Federal Contractor Misconduct Database, one of the inspirations for Violation Tracker, has been revamped. President Obama has taken pride in his “all of the above” energy philosophy, but it now seems that approach is so inclusive that it will allow a company with a horrendous safety record to proceed with plans to drill for oil in the treacherous Arctic waters of the Chukchi Sea off the coast of Alaska. Is it necessary to run the risk of another Exxon Valdez or Deepwater Horizon disaster just to prove that you’re not hostile to fossil fuels? Abigail Ross Hopper, director of the Interior Department’s Bureau of Ocean Energy Management (BOEM) said the decision to give Royal Dutch Shell a green light came after the agency took “a thoughtful approach to carefully considering potential exploration in the Chukchi Sea.” Yet what has really changed in the two years since Interior Secretary Ken Salazar said “Shell screwed up in 2012” in announcing that approval for the Arctic drilling was being withheld until the company cleaned up its act? The new permit is not final but it gives unwarranted momentum to Shell’s plan. There are many reasons why the decision is a mistake, but they all come down to Shell’s less than sterling credibility and its tarnished track record. Shell has had a troubled relationship with the truth at least since 2004, when it admitted overstating its proven oil and natural gas reserves by 20 percent. This prompted an investigation by the U.S. Securities and Exchange Commission and a decision by the twin boards of the company to oust chairman Philip Watts, who was replaced by Jeroen van der Veer. It later came out that top executives, including van der Veer, knew of the deception about the reserves back in 2002. The company ended up paying penalties of about $150 million to U.S. and British authorities. In 2008 there were reports that Shell manipulated a supposedly independent environmental audit of a huge Russian oil and gas project in which it was involved to influence financial institutions considering funding for the $22 billion project. That same year, reports released by the Inspector General of the U.S. Department of the Interior listed Shell as one of the companies that made improper gifts to government employees overseeing offshore oil drilling. 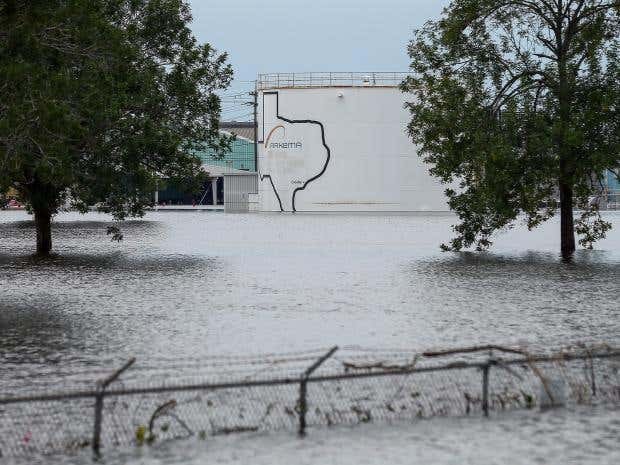 The agency involved was the Minerals Management Service, which was dismantled as a result of the scandal and replaced by two entities, including the BOEM. In 2011 a Shell pipeline off the coast of Scotland leaked some 1,300 barrels of oil in the worst North Sea oil spill in a decade. The 2012 screw-up to which Salazar was referring included problems in the same area it wants to drill. In one incident a spill containment system failed during testing; later, a drilling rig owned by Shell broke loose from a tug that was pulling it to a maintenance facility and crashed into an uninhabited island off the Alaskan coast. The company is even more notorious for its operations in Nigeria, which were marked by numerous pipeline ruptures and other environmental damage caused by practices such as extensive gas flaring. Ken Saro-Wiwa, a leading critic of the company, was hanged by the Nigerian military in 1995. Shell was widely blamed for propping up the regime, while a 2011 United Nations report estimated that an environmental cleanup of the area around Shell’s operations would cost $1 billion and take 30 years. Shell’s environmental policy states: “Our approach to sustainability starts with running a safe, efficient, responsible and profitable business.” They’ve got the profitable part covered, but the rest is another matter.